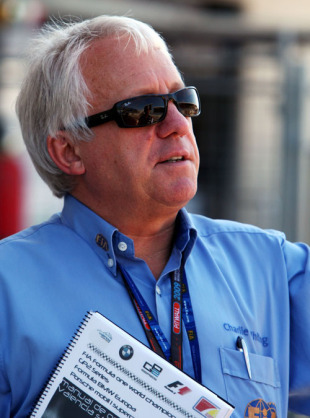 Who on earth is ... Charlie Whiting? The FIA has sent technical delegate Charlie Whiting to inspect US F1's factory, after reports suggested the Charlotte-based squad is way behind on its chassis build and in financial trouble. US F1 currently holds an entry to the 2010 world championship but has asked to skip the first four races of the season to get back on schedule. Leaks from inside the team suggest that the situation is as bad as is being reported, and with the season opener just two weeks away, the FIA has decided to act. Meanwhile Stefan GP, a Serbian outfit with a near race-ready chassis, is still hoping to be granted a spot on the grid for the opening round in Bahrain, possibly in US F1's place. It faced a major setback in its preparations this week when it could not secure a supply of tyres for its private test in the Algarve. 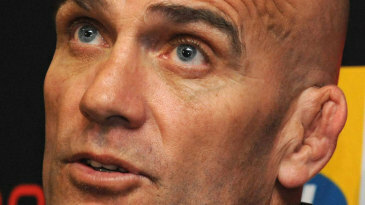 In a Reuters article on Wednesday, team boss Zoran Stefanovic appeared to be optimistic that a solution would be found. However, in an interview with the Balkan Insider, Stefanovic didn't seem quite so confident and ruled out the possibility of running on GP2 tyres. "The [GP2] circuit is also under contract with the FIA, so we can't get their tyres either," he said. "We could get tyres from other manufacturers similar to those used in the Formula One circuit but these are not approved for Formula One and we're not going to take any chances because we could have an accident in testing." Stefanovic said he is expecting to hear from the FIA by next Wednesday whether his team has been granted an entry. He also said he is very close to confirming Jacques Villeneuve and Kazuki Nakajima as drivers.